Denne model er 173 cm og bruger en størrelse S. Brystet måler 81 cm og taljen 61 cm. 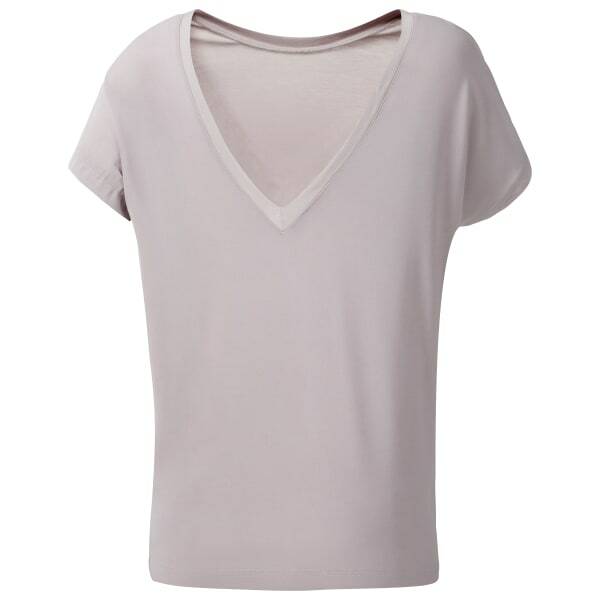 This modern top is styled with dolman sleeves and an unexpected reverse V-neck to show off your favourite strappy bra. Designed with lightweight Speedwick infused knitted fabric for a comfy fit and moisture management. Breathable mesh construction at the back gives added ventilation to all-day wear.